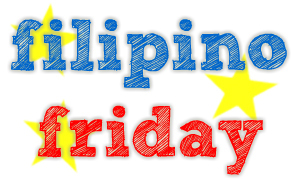 Filipino Friday 2014: Have you ever wanted to write a book? As a reader, have you ever thought about writing a book? What kind of books/stories do you want to write? Or are you now a published author, and what compelled you to go fulfil this dream? How was your journey from reader to writer? How did you go about getting your book out there? No, I haven’t really considered writing a novel or a novella. I have some friends who have asked me the same question because they know that I have a book blog and I’m passionate about reading. But I just never felt driven to become an author. I mean, it’s hard enough to keep up with blog posts nowadays. I remember there was a time when writing reviews was easy but now that’s just a distant memory and I keep struggling with blogging. I think writing fiction would be even more difficult. I did write short stories and poems back in high school and college for my literary classes but that was extent of my journey into fiction writing. I also feel like I would have high standards if I ever decide to write something. If I want to publish something, I would want it to be as well-written as some of my favorite novels. Otherwise, I don’t think it would be worth publishing. If I ever decide to write fiction, it would either be set in the Philippines or have Filipino characters if it’s contemporary. If it’s fantasy, I would want the mythology to be reminiscent of Filipino folklore or history. I know some authors were inspired to write books because what they wanted to read wasn’t available in the market and I think it would be great to have more Filipino fiction in the genres I read. Also, I’ve heard authors say that some of them write because there are plots/characters/stories in their minds that are just begging to be written. That’s not something that I’ve ever encountered, personally. I’m not saying it’s not going to happen because who knows what the future will bring but as of this moment, I’m not planning to become an author. What about the rest of you, any plans of writing fiction? Happy Friday, everyone! I hope you all have some fun weekend plans. 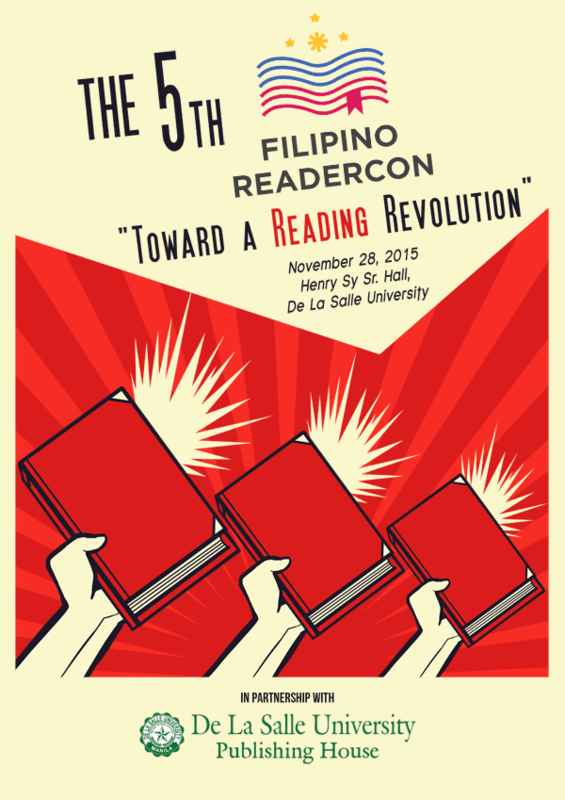 The 3rd Filipino ReaderCon: What Do Readers Want? 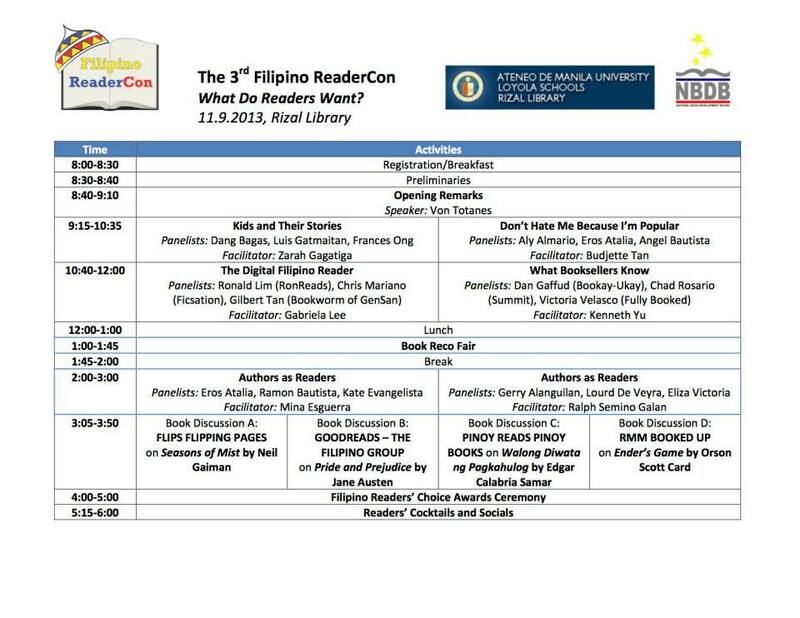 The 3rd Filipino Readers’ Conference called What Do Readers Want will be held next Saturday, November 9, 2013 from 8am to 6pm at the Rizal Library, Ateneo de Manila University. Registration fee is P150. Sadly I won’t be able to attend this event but if you’re a reader and you’re in Manila next weekend, you should definitely check it out! Filipino Friday, is a weekly meme leading to the Filipino ReaderCon that encourages participation of the Filipino readers everywhere. Compulsive Book Buyer – There are times when I feel like I’m “book-hungry” and I just HAVE to buy a book even though I already have so many unread ones in my pile. The Comfort Reader – While I don’t get to reread old favorites as often as I’d like (I get distracted by all the other books in my shelf), I do find it comforting to return to the ones that I really love. The Traveling Reader – Train time is prime reading time! Trains are always packed so I like reading on my Kindle because it’s easier to hold it while standing up. I also read a lot in airports whenever I travel because there’s a lot of waiting time before boarding. The Sharer Screamer – While I don’t leave books in random places, I feel like I am pretty vocal about my reading experience (as evidenced by this blog and how I constantly update my Goodreads status while reading). Whew, I didn’t mean to classify myself into so many species! What about you, what can kind of reader species are you? 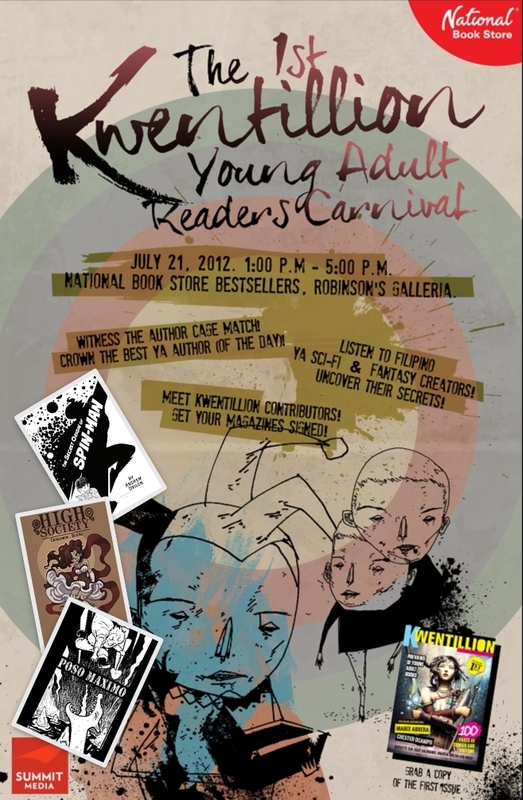 Kwentillion Magazine, in cooperation with National Book Store, would like to invite fans and readers of Young Adult books to the 1st Kwentillion Young Adult Readers Conference, to be held on July 21 (Saturday), from 1-5PM, at the National Book Store Bestsellers branch at Robinson’s Galleria. Learn more about the event over at Rocket Kapre. I would love to attend but sadly, I’ll be pretty busy in the next couple of days. I bet it’s going to be a really fun event. Hope you can drop by to check it out! 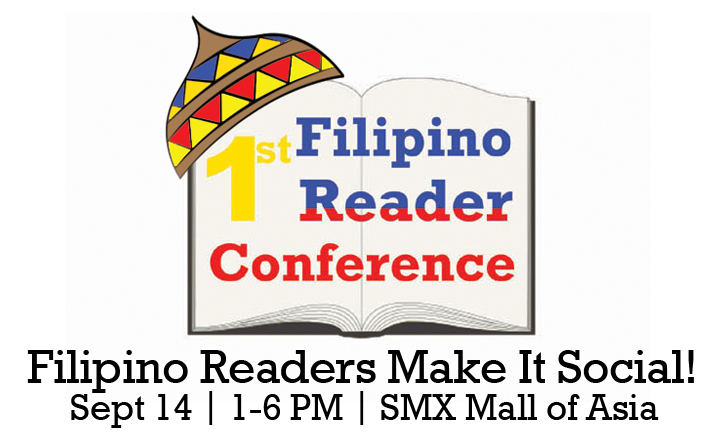 The first ever Filipino ReaderCon was held last September 14 during the Manila International Book Fair. If you were able to attend, please drop by the ReaderCon website to give feedback. For those who weren’t able to go, there are audio and video files that you can check out to find out what happened during the event. 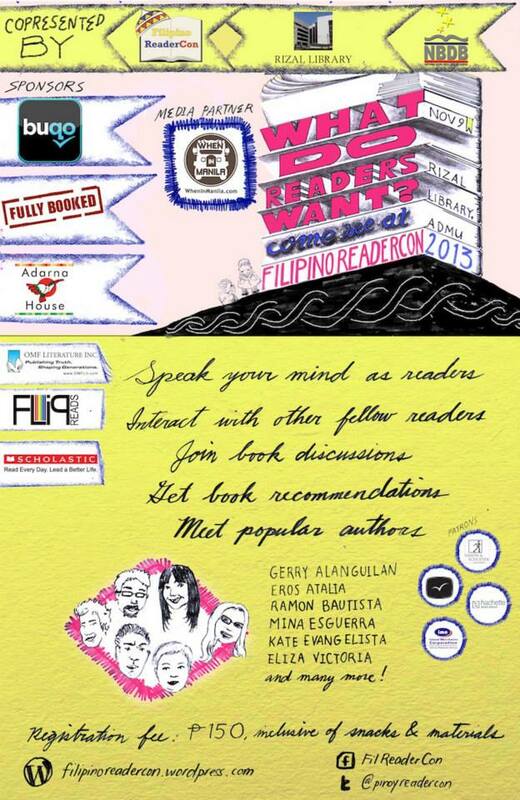 Again, feel free to drop by the Filipino ReaderCon website for the video links. The Why and How of Book Blogging by Tarie Sabido, Charles Tan, Chachic Fernandez, Aldrin Calimlim, and Sasha Martinez. I initially didn’t want to post this, I don’t know why but watching myself on video makes me cringe (ever wonder why I’ve never posted vlogs here?). 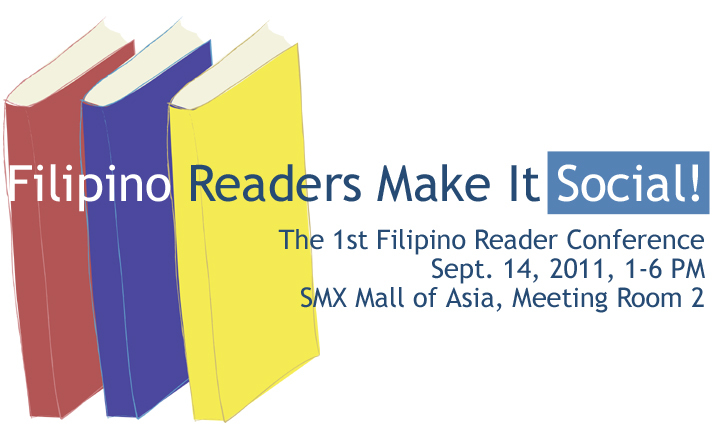 However, promoting the ReaderCon and Filipino readers in general is always a good thing. 🙂 So enjoy and please leave a comment to let me know what you guys think. 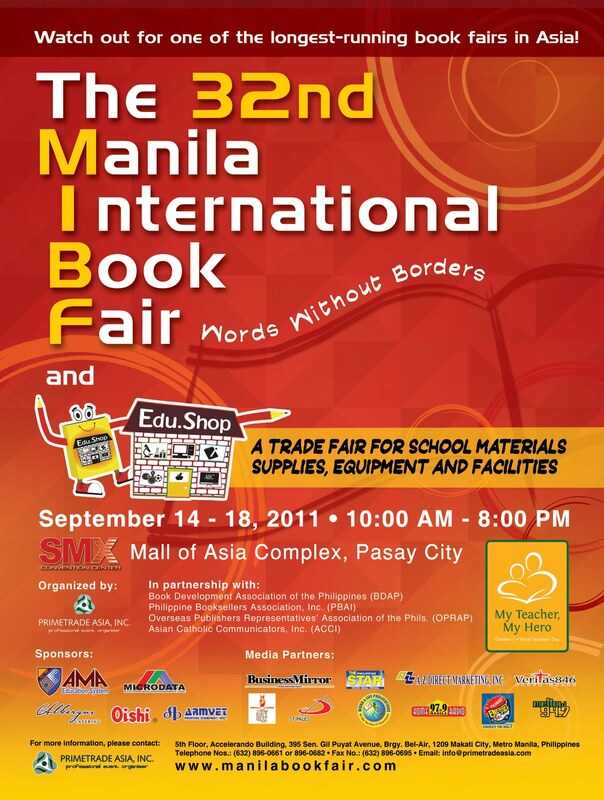 The Manila International Book Fair is a yearly event for Filipino readers. Click on the link to find out the details of this year’s event. If you’re in Manila during the dates below, please consider stopping by. Bring a couple of bookish friends with you and I’m sure you’ll have a great time going around the fair. Like I said in my previous post, I don’t get to read as many novels by Filipino authors as I’d like. But there are several Filipino books that I’ve enjoyed reading in the past year or so that I highly recommend to anyone who’s curious. All of these except for My Imaginary Ex are internationally available so you can read them even if you’re not based in the Philippines.